Sprint, which owns Boost Mobile and Virgin Mobile, two prepaid carriers, said today it’s introducing two new no-contract plans under the “Sprint Prepaid” moniker. They’ll replace its existing “As You Go” no contract plan. There are two plans available at launch, including a “Smart” option that costs $45 per month and includes unlimited talk and text. That plan also offers “Wi-Fi enabled data,” though any smartphone with Wi-Fi provides that, so we’re not quite sure why Sprint bothers advertising it. The second plan is Sprint Smart Plus, which costs $60 per month and provides unlimited talk, text and data with a caveat. 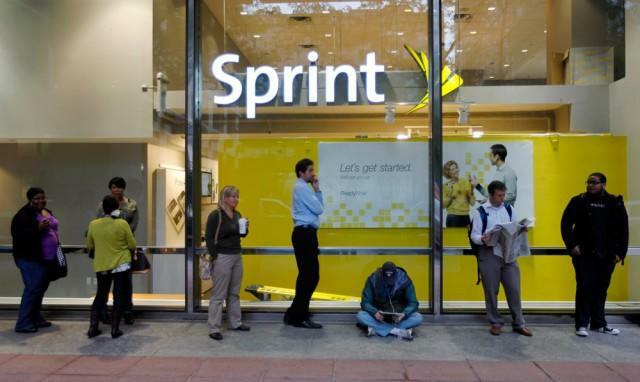 High-speed data is throttled after you’ve used 2.5GB of data per month and Sprint says “video streaming may be limited to 3G speeds.” Sprint’s 3G network is slow, so you’re probably not going to be able to stream high quality video. Four phones are available with the new plans, including the iPhone 4s, the Samsung Galaxy S4 mini, the Galaxy S3 and the Moto G.
Sprint prepaid is available now, but we have a few recommendations before you run off to the store. First, you should probably avoid the Moto G if you want high-speed data, since you’ll be paying for access to Sprint’s faster data network even though the phone is limited to 3G speeds. Also, consider Virgin Mobile, which provides 3G and 4G LTE with similar data caps, but at a lower cost. $30 on Virgin Mobile gets you unlimited messaging, data and 300 minutes. At the high-end, you’ll get unlimited data, minutes and messaging for $55, which is still cheaper than Sprint’s option. Boost Mobile has similar savings.